Felix Abt is a Swiss businessman who, after living for seven years in North Korea, has written a candid account of his time there. The story is as extraordinary as it is improbable. 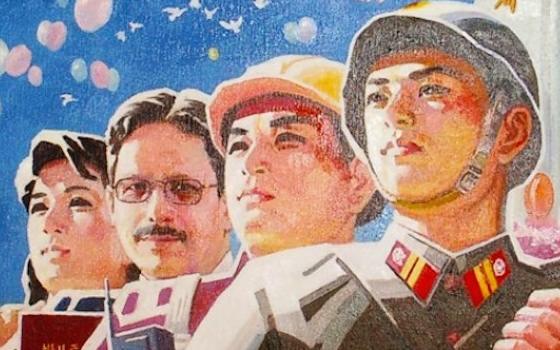 Foreigners rarely live for extended periods in North Korea. The ones who do are usually attached to embassies or UN agencies -- but Abt was, as the title of his book states, a capitalist in North Korea. And, finally, the people who do manage to live there rarely write candidly about their experiences, if only to ensure that they can return at some point in the future. Of course, there's nothing in A Capitalist in North Korea that would disqualify Abt from a return visit. He does not trash the regime. He does not linger on human rights issues, make light of the country's economic backwardness, or reveal any secrets about its nuclear program. He focuses on his own interactions with North Koreans. The purpose of the book, in some sense, is to normalize the country. Sure, North Korea has its quirks, Abt implies, but so do all countries. North Koreans struggle to make it through their daily challenges, just like everybody else. Abt ran a pharmaceutical company called PyongSu, a joint venture between a Swiss firm and the North Korean ministry of public health. He also set up the Pyongyang Business School. In other words, he was a certain kind of missionary -- though his gospel was the bottom line, not the Bible. He was one of a series of evangelists who, venture by venture over the last 30 years, have converted North Korea from a doctrinaire Communist country into a mixed economy. And indeed, Abt's account of his time in North Korea is most interesting for his stories of trying to get his various business initiatives off the ground. Doing business in North Korea is not for the faint-hearted. There's the government bureaucracy to deal with, the unscrupulous middle men who put themselves forward as business partners, and the international sanctions that restrict certain types of imports into the country and keep products out of huge potential markets like the United States. On top of that, North Korea lacks reliable infrastructure. "I have visited provincial factories far from the capital where workers slept in the factory at night so they could wait for sudden electrical bursts," Abt reports. "When the power came back and the lights went on, the workers jumped to their feet to operate the machines for a couple of hours until the next blackout." Like any good businessman, however, Abt quickly adapts to the local realities. He jumps at the opportunity to provide flower pots adorned with PyongSu's label for the annual exhibition of the flowers named after North Korea's first two leaders: Kimilsungia and Kimjongilia. "Of course, the press spun my commentary into an entertaining propaganda twist, but I didn't mind," he writes. "On the contrary, it helped boost our sales more than any advertising campaign could ever have achieved." See, Abt tells us: there often is a fine line between the propaganda of a regime and the advertising of capitalism. Throughout his account, Abt provide capsule portraits of real North Koreans. There's Dr. Song, who handles email queries about medicine on the country's Intranet. "Dr. Song's working days became longer and longer, but she didn't complain," he recounts. "She must have, after all, become one of the country's most popular doctors, building our reputation as a competent pharmaceutical company." Then there's Jon Sung Hun -- the head of Pugang, one of North Korea's largest state-run corporations - -- a charismatic pitchman who shows up at the company's booth at the Pyongyang International Trade Fair to "fire up his sales team." In addition to demonstrating how to operate a profitable business in a country just coming to understand the nature of profit, Abt helped put together the Pyongyang Business School to teach the next generation of North Koreans how to run their nascent market economy. In the end, it wasn't the North Korean government that pulled the plug on the initiative but the Swiss government, after a parliamentary critic persuaded his colleagues to stop providing such useful trainings to a totalitarian dictatorship. The Swiss continued to provide humanitarian aid, but Abt has little positive to say about such relationships. Aid creates a "culture of dependency," he writes, and the UN agencies in particular waste tremendous resources on overhead and operating expenses like expensive cars. A Capitalist in North Korea devotes only part its pages to the challenges of running both a business and a business school in the country. Abt also interweaves observations on North Korean life in general. There are asides on Korean food, customs, propaganda slogans, tourism spots. We learn that the government has reinstated the traditional autumn holiday of Chuseok, which had hitherto only been celebrated in the South. Hello Kitty is making inroads into North Korean culture. Women over the age of 27 worry about never marrying and becoming old maids. Abt wants to dispel the prevalent myths about North Korea. The citizens are not automatons. The capital has not been "cleansed" of the old and the handicapped. North Korea is not nearly as isolated as it is often portrayed in the press. He also touches on some of the less savory aspects of society, such as the rising incidence of theft, the pervasiveness of domestic violence, and the shoddy construction of buildings even in Pyongyang. Though Abt is willing to highlight some of the negative aspects of North Korean life, he bends over backwards to minimize the violations of human rights. The labor camps, he points out, can't be as horrible as the Western media claims because he knows two people who were accused of "serious crimes," did their time in labor camps, and were then released to be reintegrated into society. It's useful to point out that North Koreans have different experiences in the country's labor camps. But Abt doesn't take into account the hundreds of defector testimonies that paint a very different reality in the camps -- of starvation, death, collective punishment, and so on. Like any account of North Korea, Abt's new book is partial, in both senses of the word: biased and incomplete. But that's unavoidable with such a subject. The partial picture he provides is indispensible for understanding how North Korea is changing, perhaps not as fast as outsiders want and perhaps too fast for some within the North Korean government. It's rare indeed to get an insider perspective from one of these agents of change.